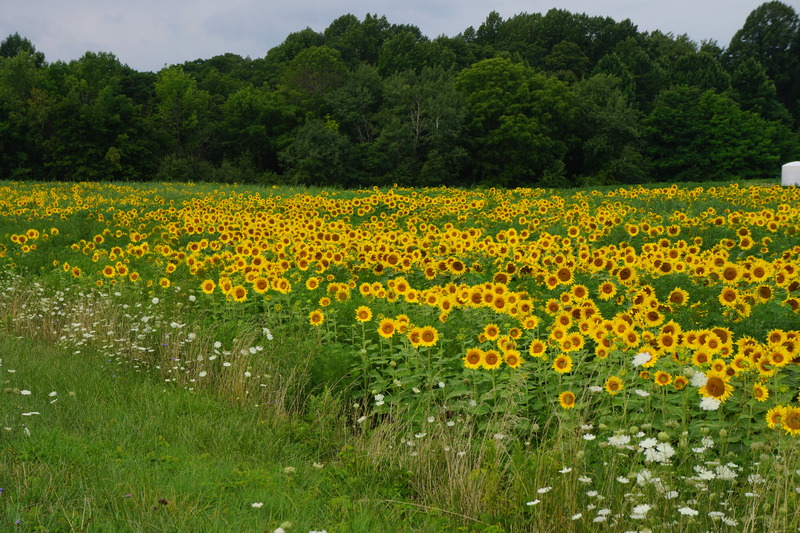 Mile 32: The only field of sunflowers I have seen on my tour. Unfortunately, the weather was heavily overcast which prevented the photo from being more brilliant in color. Today had a 50% chance of showers and thunderstorms so we started biking early. I left even earlier than the rest of group and didn’t see anyone except Doug until the end of the ride. Good thing I did ride straight through – while I had a few sprinkles, I made it to the motel without any rain (same with Doug). The other riders had to cope with some downpours before they arrived. All of us were very lucky as shorty after the last person arrived, a very severe thunderstorm hit. The rain was blowing sideways, the streets flooded, and, water started pouring from my bathroom ceiling. I am clearly cursed when it comes to hotel rooms on this tour. I quickly was relocated to very dry room and enjoyed a nap. One comment about the scenery today – very beautiful ride with vistas of valleys to the south, Lake Erie and homes on the north, and grape vines on either side of the road. 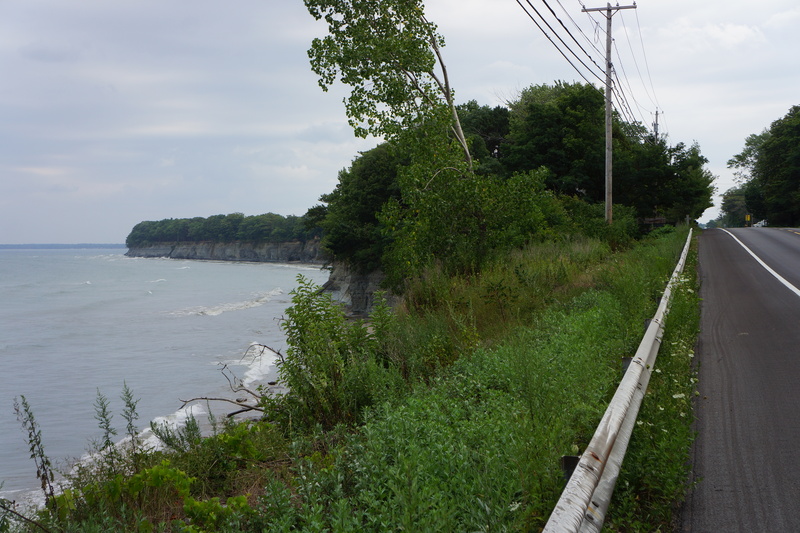 Mile 15: Shortly after leaving Erie, I biked on Route 5, paralleling the shoreline of Lake Erie. For over 50 miles in both Pennsylvania and New York, I passed field after field of grapes on both sides of the road. Not only were there numerous wineries, but I also passed several college research farms dedicated to grapes. 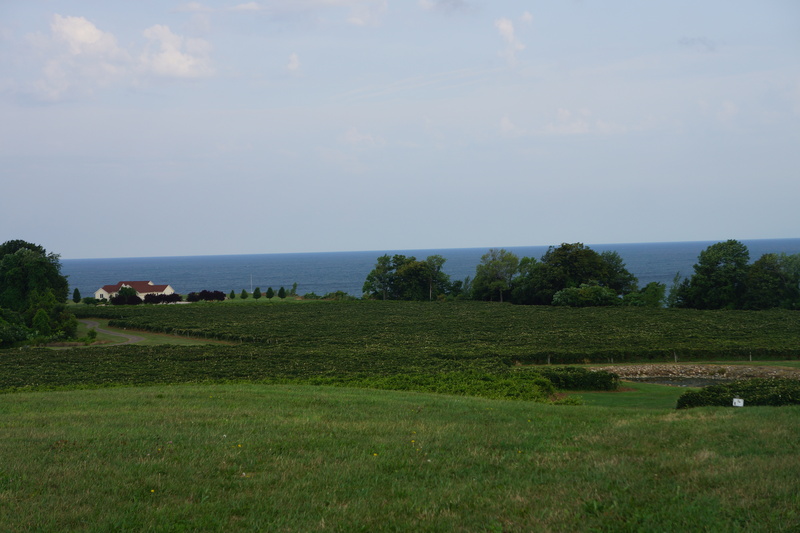 This is a photo of a grape field with a stately home on Lake Erie. 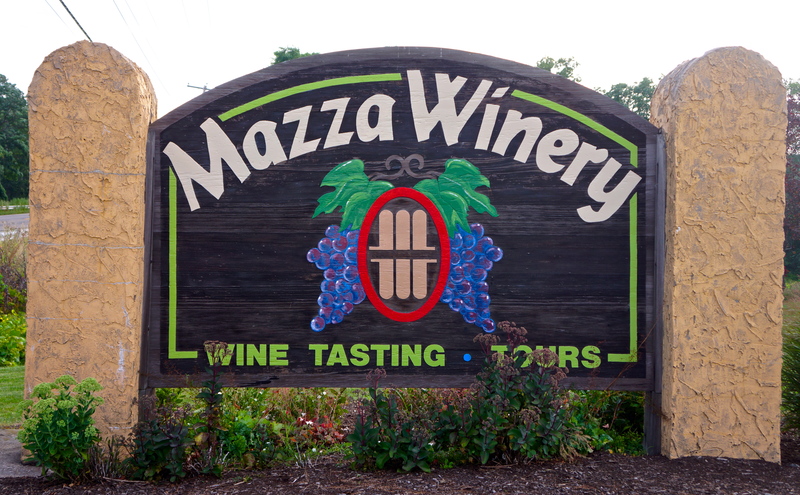 Mile 16: One of the wineries I passed in Pennsylvania. 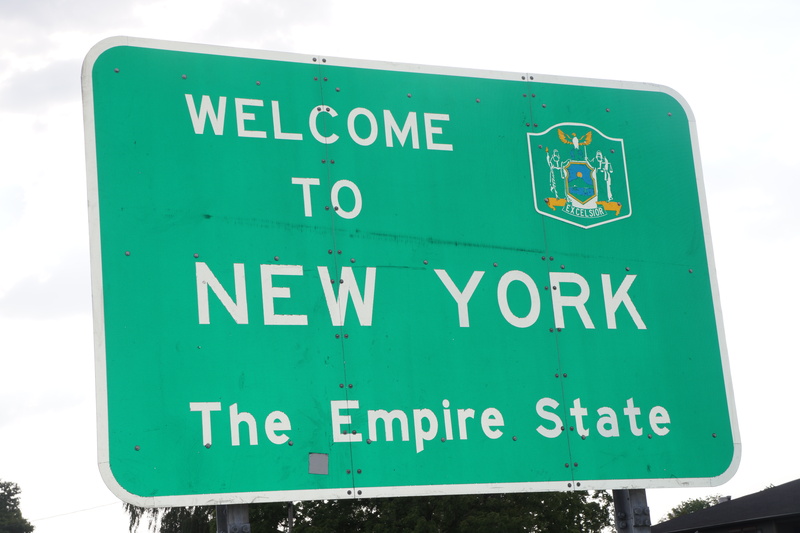 Mile 24: Arrival in New York State – the 12th state on my tour – 3 states to go. 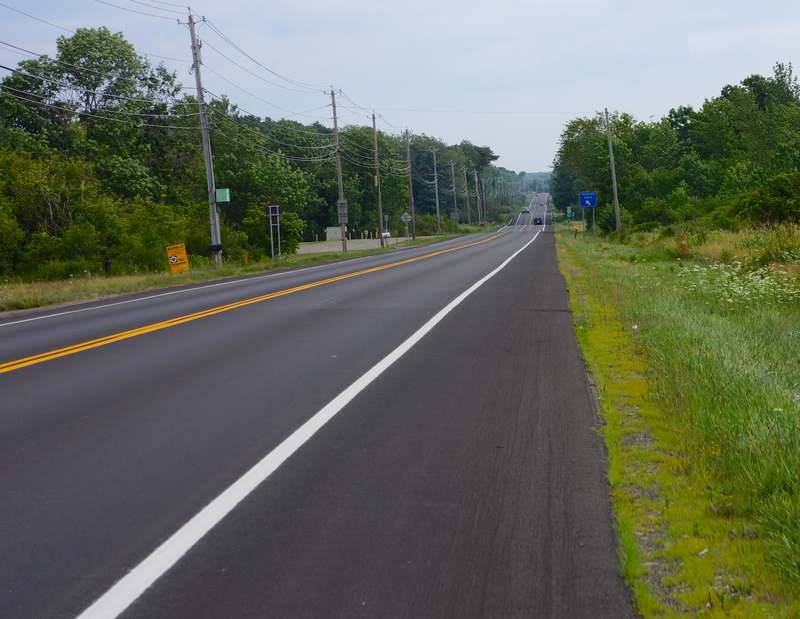 Mile 35: An example of the road conditions in New York, wide and smooth shoulders (but not as smooth as the road which I road unless traffic was coming) that were great for biking – moderate traffic. Mile 44: A view of the Lake Erie shoreline near Van Buren Point, NY. 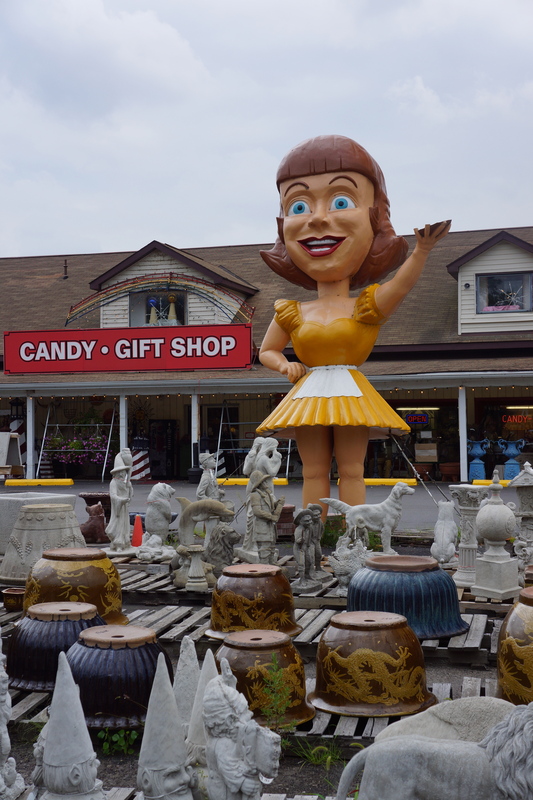 Mile 65: A unique store fixture at a gift shop near Silver Creek, NY. It looked like it might be for sale if your interested. 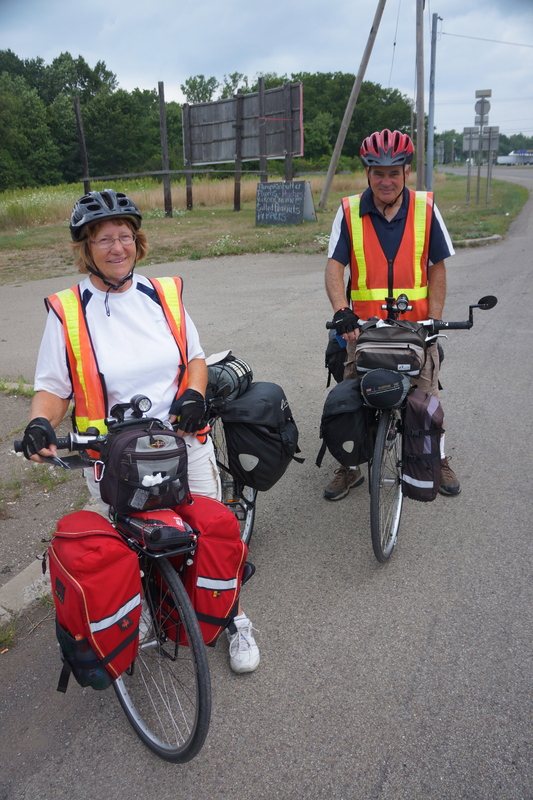 Mile 70: This is June & Gary Feeney from Bay City, Michigan. They are completing a loop around Lakes Erie and Ontario. When we met on the road near Irving, NY they had biked 1,100 miles over the last 48 days. Mile 71: Another unique store fixture on an indian reservation. 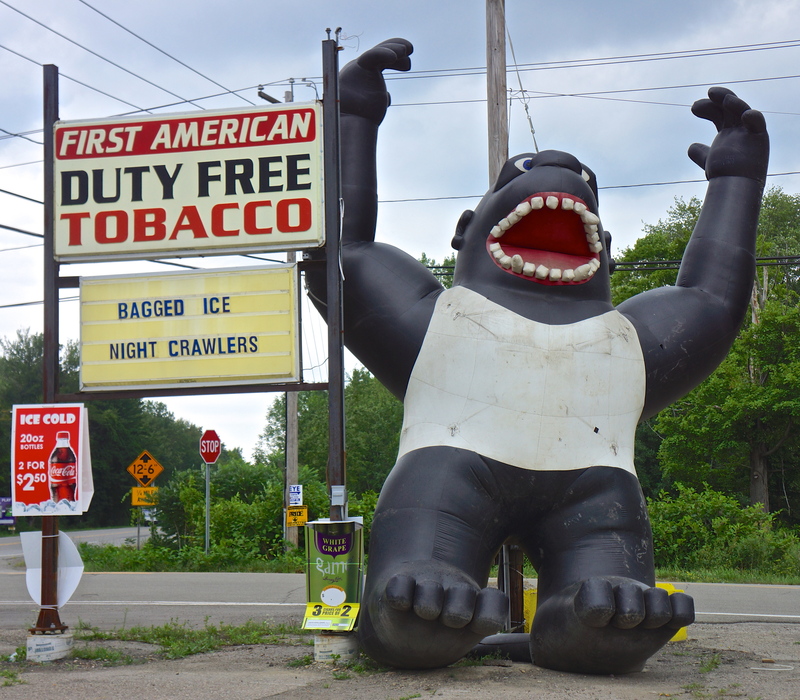 I am at a loss to see the linkage between the gorilla and duty free tobacco, ice, and night crawlers. This entry was posted on August 7, 2012 by Steve. It was filed under Photograph of the Day .